The live Eurovision final takes place this evening when viewers in 42 countries across Europe will vote to decide the winner - but it's worth remembering that this Friday's dress rehearsal is equally important. This is the rehearsal that the professional juries will be watching and voting on, and they are responsible for 50% of the final vote. None of the jury members are connected with any of the participating songs or artists, in order that they can vote independently. All jury members have made signed declarations stating that they will vote independently. 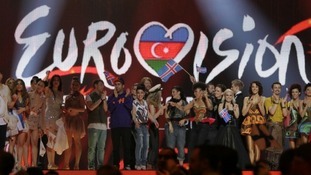 The names of the jury members should be revealed by the broadcasters during the Final. Jurors will vote on their favourite acts and points will be awarded in the traditional Eurovision format to the top ten countries i.e. 12,10, 8, 7, 6, 5, 4, 3, 2, 1. The chairperson will then collate the results from the whole jury and award the same point values to the final top ten acts. Points given by the jury and the televoters will then be merged tomorrow night per individual country. If there is a tie between two or more songs between jury votes and televotes, then the song gaining the most televotes will be ranked higher. For more information see the Eurovision website here.